The actor shows you the secret to androgynous dressing on Femina's cover. 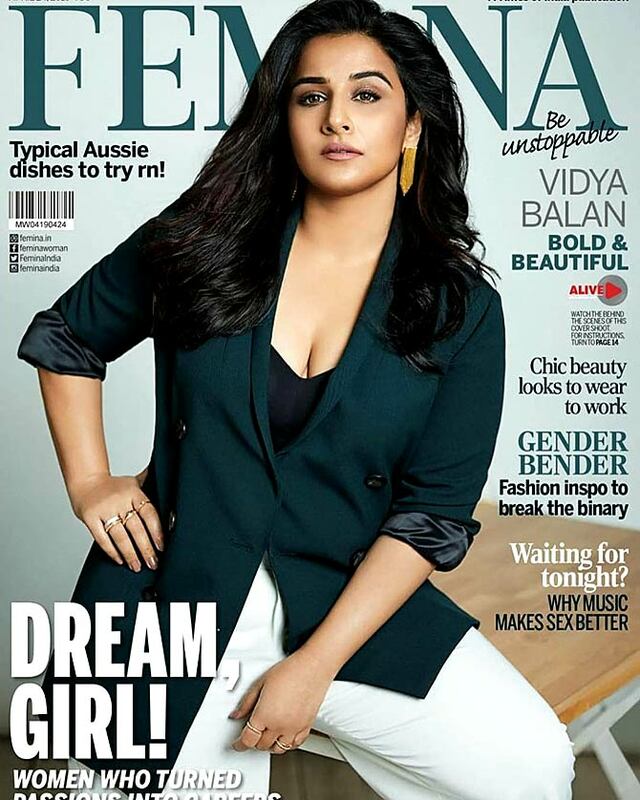 Vidya Balan turns heads in a double-breasted jacket and wide trousers on the cover of Femina. Cutting an impressive figure on the cover, the actor shows us how to work the androgynous look effortlessly. 'Bold and beautiful, @balanvidya owns Femina cover like a boss!' wrote the mag as the shared a pic of the cover. Vidya completed her look with golden asymmetrical earrings and a set of rings on her hand. Shot by Rohan Shrestha, the cover has been styled by Prachiti Parakh and Mayola Almeida.